I crocheted about 40 hours this week and made Kenzie this blanket. So yes, I have a full time job of crocheting. Except for the getting paid part. I put a hold on my other crochet blanket to make some of these baby blankets. I'm making one for my friend Brooke. And if you are having a baby girl this year and I really, really, really like you you will probably get one of these too. It took about 9 skeins of yarn, 5 trips to the craft store (to use coupons each time), 35 dollars, and 40 hours of love to make this project happen. I'm in love with how it turned out. Although my wrist has some complaints, I think it was a fairly easy project just very time consuming. I owe our late nights of 24 for allowing me to finish this project and plow through the tediousness of it! U can sell your creations? 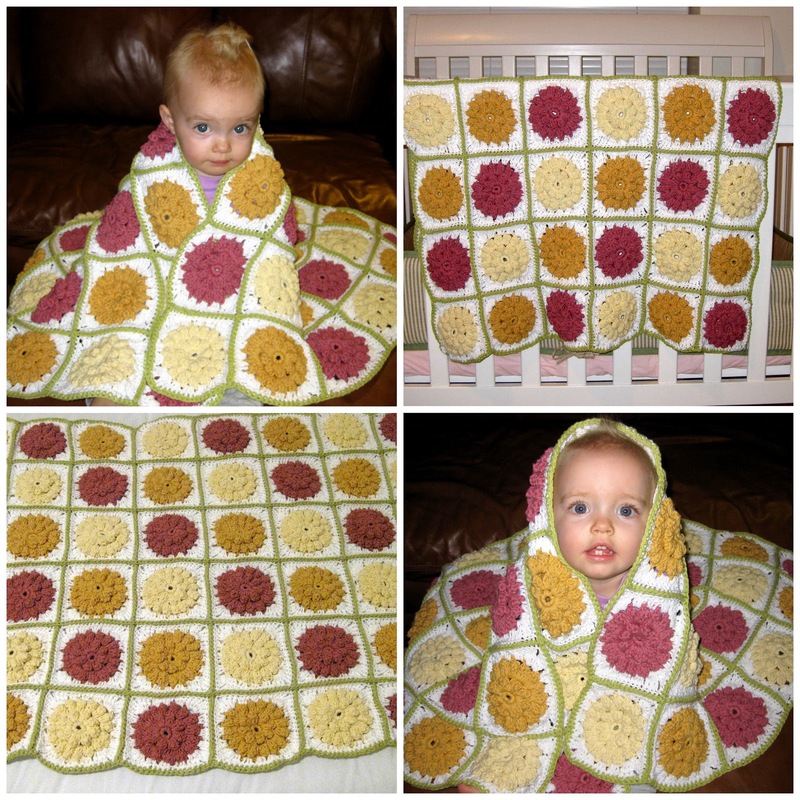 Is the pattern for this blanket online anywhere? This is so pretty!